(MoneyWatch) We've seen how overconfidence can undermine the way we invest, but other behaviors also can be detrimental. Take a common reason most investors don't diversify their portfolios -- they confuse the familiar with the safe. People believe that because they're familiar with a company, it must be a safer investment than one with which they're unfamiliar. This leads them to concentrate their holdings in a few companies. It also encourages holding stocks that have high correlation, as they tend to focus on the same small group of familiar large-cap growth stocks, such as Coca-Cola (KO) or Apple (AAPL). Familiarity with a company seems to lead investors to think they have what might be called "value-relevant" information. A study found that the returns of local stocks investors purchased badly lagged the returns of local stocks sold. Another explanation for why individual investors fail to diversify is that they have the false perception that by limiting the number of stocks they hold, they can better manage their risks. While this belief has been confirmed by a study by Werner DeBondt, it's an illusion; it's just another form of overconfidence. Why don't stock investors diversify? Journalist Gary Belsky and psychologist Thomas Gilovich, authors of "Why Smart People Make Big Money Mistakes," have this to say on the subject: "For every example of a person who made money on an investment because she used a company's product or understood its strategy, we can give you five instances where such knowledge was insufficient to justify the investment." Investors gain a false sense of control over the outcomes by being involved in the process of stock selection. Yet it's the portfolio's asset allocation that matters, not who's controlling the switch. The bottom line is that an illusion of control and overconfidence in their stock-picking skills leads investors to ignore the benefits of diversification. There's yet another explanation for investors failing to diversify -- they confuse information with wisdom. Information consists of facts, data, or opinions held by someone. Knowledge, on the other hand, is information of value. For information to be of value, you must be able to exploit it. Confusing information and knowledge is a major investment mistake. Let's take a look at what I call the "information paradox." At the core of the efficient market hypothesis is that new information is disseminated to the public so rapidly and completely that prices instantly adjust to new data. If that's the case, an investor can consistently beat the market only with either the best of luck or with inside information (on which it's illegal to trade). The logical conclusion seems illogical to most investors: If information is valuable, it has no value because either the market already knows it and has incorporated it into prices or it's illegal on which to trade. Thus, we have the information paradox. Keep in mind that the only other way you can exploit information is to interpret that information differently (and correctly) from the way in which the market collectively interprets (or misinterprets) it. It always surprises me when people make investment decisions based on what they believe is important information. They virtually never consider that others, with far more resources than they have, almost certainly have the same information. So that information must already be "baked into" prices. Mark Rubenstein, professor of applied investments at the University of California, Berkeley, put it this way: "One of the lessons of modern financial economics is that an investor must take care to consider the vast amount of information already impounded in a price before making a bet based on information." Legendary investor Bernard Baruch put it even more succinctly, stating: "Something that everyone knows isn't worth knowing." The failure to understand this basic axiom leads to a false sense of confidence. Which in turn leads to a lack of diversification. 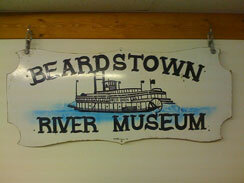 Perhaps the best example of the failure to take into account the point made by Rubenstein is the case of the Beardstown Ladies, a group of "little old ladies" from Beardstown, Illinois Ohio, who became investment legends. Why anyone would believe that they had found the Holy Grail that would allow them to do what the vast majority of professionals had failed to -- persistently outperform the market -- is well beyond my ken. Yet they became icons, writing a best-seller ostensibly detailing their "secrets." Of course, it all turned out to be an unintentional fraud. (They had made the error of counting their additional investments as profits.) In the end, it was found that they had actually underperformed the market by almost 6 percent a year.